The Russian Empire is already one of the most powerful nations at the start of the game. With its enormous land mass in both Europe and Asia, great manpower base and large number of states, Russia can easily become the strongest power in the game. It is considered a good choice for new players since Russia's size means it is possible to recover from mistakes. Russia starts off with Slavophile (Protectionism, Interventionist) as the government party. The other choices include Westerniser (Laisez Faire, Free trade) and Panslavic (Protectionist, State Capitalism). The nation's industry will go nowhere at the start, as Russia lacks literacy to promote craftsmen, and its factory techs are backward. When Russia industrializes, the Panslavic party's State Capitalism allows manual construction of factories as well as allowing capitalists to construct their own. Russian industry sprouts very quickly, provided it has the right factory techs, literacy, and resources. Building industry earlier than 1860 will result in a lot of inefficient, empty factories. Aim for big industrial expansion in 1870-1880. Russia has some fiscal issues considering the large investments needed and the size of the country. Keeping both education and administration spending at the maximum will help with literacy and administrative inefficiency issues. Russia's literacy is extremely poor and if this issue is not fixed, it will result in Russia falling behind technological. Initially it is probably best to use Russia's two National Foci on clergymen in the two largest states of Kiev and Moscow as this will help to increase literacy and the rate at which technologies can be researched. It is best to encourage Capitalists, Clergy, Clerks and Bureaucrats. One can do so with National Foci and giving tax cuts to middle and upper class. The tax rates for lower class can however be kept high to finance the big investments needed in education and bureacracy. One can leave leave them with only enough money to eat so that they have enough strength to keep working and breed. Military - As Russia has a large population, one can field more troops than even the strongest neighbours (except the United Kingdom). It does not even require that big of an investment to do so, so it might be a place to spare some money. Tariffs. Russia's tariff efficiency is lousy to start with (due to poor admin efficiency). High tariffs will also result in inefficient factories, but that will not be a problem until one actually has a industry to speak of. One can increase the tariff as needed considering that it will hurt the industry. Navy. Russia has a large starting navy, but it does not have much need for one, at least early on. The biggest threats will invade over land. It can be disbanded with a great saving in cash, or at least one can stop buying clippers and steamers in order to safe money. It might be wise to keep a navy large enough to beat Denmark or Prussia and to get colonization points. The academia start with an "Avantgarde Intelligentsia" administration. In simple English, Cultural techs have a 5% bonus along with a 5% penalty on industry and 25% penalty on navy techs. Culture techs is arguably the most lacking in Russia at the start of the game. The techs which raise research points, literacy, national focus and plurality. Early on, Russia needs only stray from the culture techs if it really needs a military tech due to some expected war in Europe or if it needs additional output from farming or mining. Arguably the Russia's biggest issue is it's Literacy rating. It is both important in order to keep up in tech with Prussia and the other European states and to make the population promote to workers and capitalists. Maximum education spending is also encouraged to build up the research level. This, along with giving priority to technologies that increase research and education, helps Russia achieve a respectable research rating in the long run. Ideological Thought is a good choice for Russia's first tech, to boost plurality and give another national focus. Otherwise if financial problems persists, Freedom of Trade or Practical Steam Engine will benefit a lot of POPS and permit Russia extra income. Medicine, Positivism, Functionalism, State and Government are also excellent early techs for Russia. Manchuria. Should Russia bring Manchuria into its sphere, two events, The Ruler of the East and Peking Convention, give it cores and later annexes Outer Manchuria. Sweden. Sweden starts with friendly relations with Russia, which makes it easy to sphere. It does, however, have cores in Russian Finland. They prevent any sort of military alliance until Sweden takes abandon Finland. They tend to do so every other game. Korea. Korea has lots of coal, a large population and is a decent ally. Russia gains a border with Korea after annexing Outer Manchuria which helps spread Russian influence, though the USA tends to try and sphere Korea early on. Persia. Like Sweden, Persia also starts off with friendly relations with Russia and can easily be sphered. One must decide whether they want to sphere the country or annex parts of it first. Central Asian nations. Khiva, Kokand and Bukkhara are not worth a lot, but they are easy to sphere or conquer and their remote location means that they are less likely to be influenced by other great powers. Russia has two natural rivals: Austria and Prussia/ North German Federation/ Germany. Luckily, they are also hostile to each other. The worst thing that could happen to Russia is the formation Greater Germany. Other rivals could include the United Kingdom should they decide to make Asia their main area of expansion. Should they successfully westernise, China and Japan can also pose a threat. Japan has cores in the Kuril Islands and Sakhalin, which they might try to contest. The Ottoman Empire is another potential enemy. Forcing them away from Great power status opens the possibility for the decision Defender of the Eastern Christendom. The decision gives prestige pr. month (12 prestige pr. decade) so it is best to provoke early. On top of that, releasing Bulgaria, and the Ottoman controlled provinces of Serbia, Montenegro and Romania gives multiple good allies against Austria. Fortunately, there are several possibilities when looking for allies against these threats. France is the obvious one. They too have a conflict with the German nations over Alsace-Lorraine, an ongoing rivalry with the UK and are eager to get an alliance with Russia. The Scandinavian states or a united Italy are also potential allies. There are a lot of nations that Russia can attack to strengthen its position. Tabriz region in Persia, if one decides not to sphere it can easily help the Russian economy and is easily achievable with even a fraction of the army. Korea is easy to conquer, but they might create problems with Crisis' later in the game. 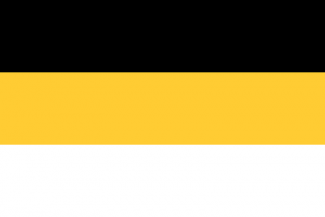 East and West Galicia ( Ruthenia) in Austria contains the accepted Ukrainian pop's and it does also weaken one of the biggest contenders. It will most likely also contain quite a bit of industry. One should however consider that weakening Austria too much will strengthen Prussia/North German Federation in the long run, and might come back to bite Russia later. China. Attacking China can provide RGOs and large numbers of pops. However, a large number of pops with a non-accepted culture can cause issues with unrest. As pretty much the only other nation capable of matching the number of troops Russia can put into the field, a westernised China is major threat to Russian interests in the area. Japan. Japan can potentially grow very powerful, so one might consider hitting them early on to beat them down. Every Japanese state is rich, and will boost the economy as well. However, the Japanese army is formidable even before westernising and they are often sphered by the United States fairly early on. Prussian Poland. Taking parts of Prussia has many advantages. It prevents them from forming Germany without a Crown from the gutter, it weakens one of Russia's main enemies and they have a good amount of industry. It is however the hardest of the mentioned potential targets and one might choose to wait a little. Russia starts with a big fleet and the potential to make it enormous. It can reasonably expand its control to any part of the world, and does not need to choose where to prioitize because it will never realistically run out of colonial points. It does however have a bad literacy but with investment in education and the right prioritizing it is possible. One does however need to give up on other research in order to be ready in 1870. Omani Zanbibar, Danish Ghana, Egypt or Zulu are possible footholds that Russia could use to engage in the Scramble for Africa. Like with Africa, Russia needs a foothold in South East Asia. Possible targets include Brunei, Johore or Dai Nam. 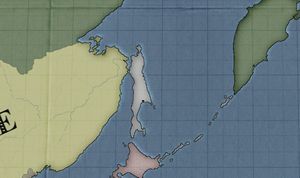 Russia can colonize the island of Sakhalin at the very start of the game, as well as the nearby Kuril island chain later on. Other than those two, there are uncolonized regions in nothern Siberia, Central Asia and Alaska (if one does not decide to sell it to the United States. There are no competitors in these regions, except the UK in Alaska, so they can be safely ignored to allow a focus on colonizing elsewhere. USA can decide to take the decision Seward's Icebox, where they offer to purchase Alaska for 70.000 ducats. Russia will get the event The Alaska Purchase?, where they can decide to sell Alaska or keep it. If one intends to colonize with base in Alaska, it will be a good idea to reject the offer. Until Russia gets her literacy up, she will not have craftsmen; if she builds factories, they will be empty and inefficient. It is therefore advised to stay away from Laissez Faire in the early game. Most of Russia's factories will be closed by the capitalists due to the lack of clerks for a long time. As the before mentioned technology struggle is resulting in slow research for those vital industry related techs and no clerks in the early game, Russia has to be a bit more careful with factory placement to have profitable factories. So, ensure that one have vertical integration between the states/factories as much as possible. e.g. timber/lumber/clipper shipyard or iron/steel/steamers or grain/glass/liquor. It is adviseble to start off with a cement factory in the high population states (Moscow, Kursk, Kiev etc.) as it is cheap to build and should make a profit. Progressively build steel mills and lumber mills in the states where one can and build fabric where Russia has cotton, liquor where there is grain etc. Then build additional related industry according to the natural advantages - e.g. glass factory where one have a liquor factory, regular/Luxury clothes where one have built a fabric factory, etc. One ought to end up rolling in money and lacking places to actually invest them, so keep going through and expanding all of those factories. This page was last edited on 13 July 2018, at 19:11.